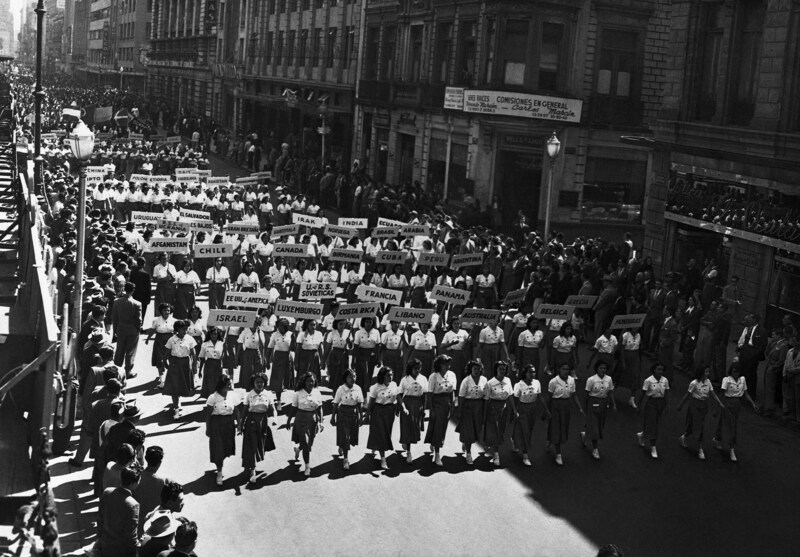 The earliest plan for a UN-type organization, one with a goal to preserve human rights and justice, came in 1939 under President Franklin Delano Roosevelt and the State Department. 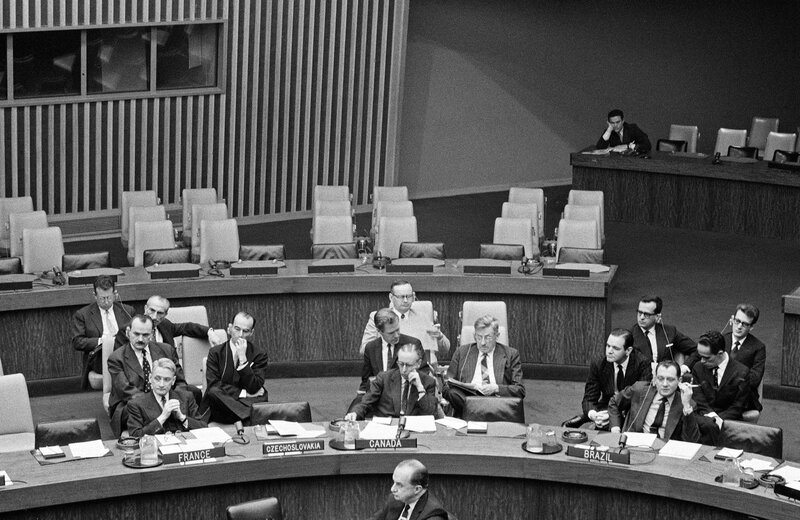 In a joint declaration signed by 26 governments, and then followed by 21 more, the United Nations was officially born. During World War II, FDR coined the term “United Nations” to refer to the Allies. In order to join the UN, the country had to declare war on the Axis powers. The Allied Big Four–the US, UK, Soviet Union and China– founded the UN after months of planning, along with 50 governments and other non-governmental agencies during a meeting in San Francisco between April and June of 1945. 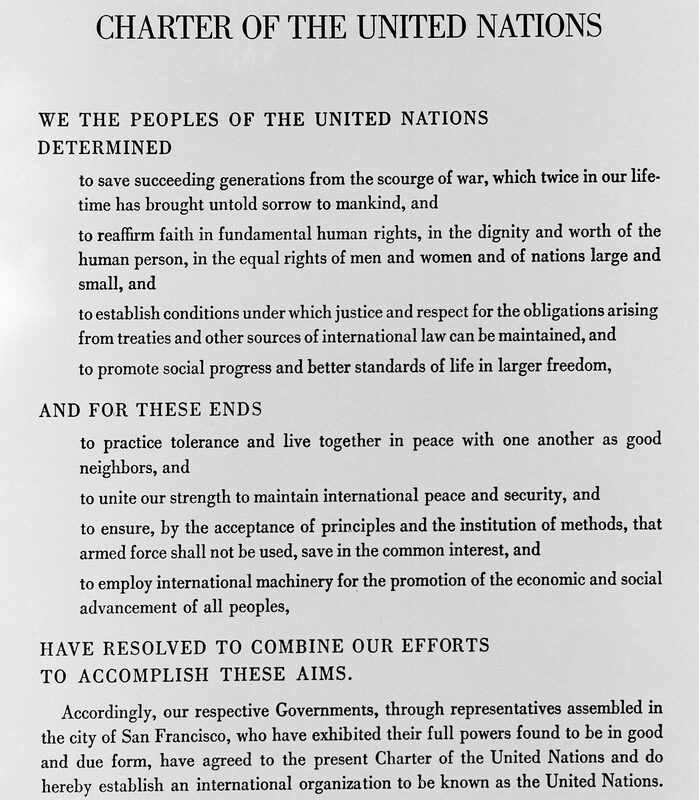 On October 24, 1945, the UN officially came into existence after its charter was ratified by the five permanent members of the Security Council: France, the Republic of China, the Soviet Union, the UK and the US, and 46 signatories. Although the General Assembly’s first few meetings took place in London, New York City was eventually selected as the site for the organization’s headquarters, its building completed in 1952. 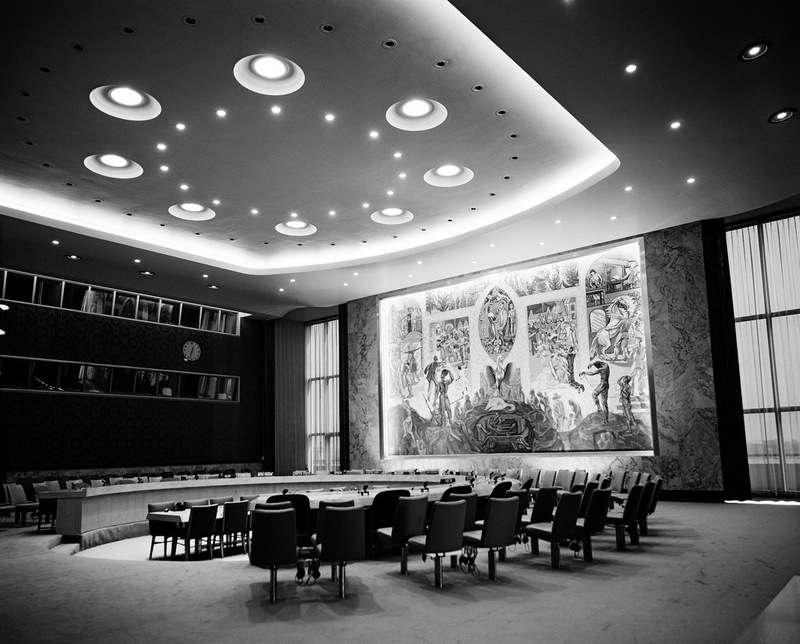 Located in the Turtle Bay neighborhood of Manhattan, the UN building was designed by Brazilian architect, Oscar Niemeyer and French architect, Le Corbusier. 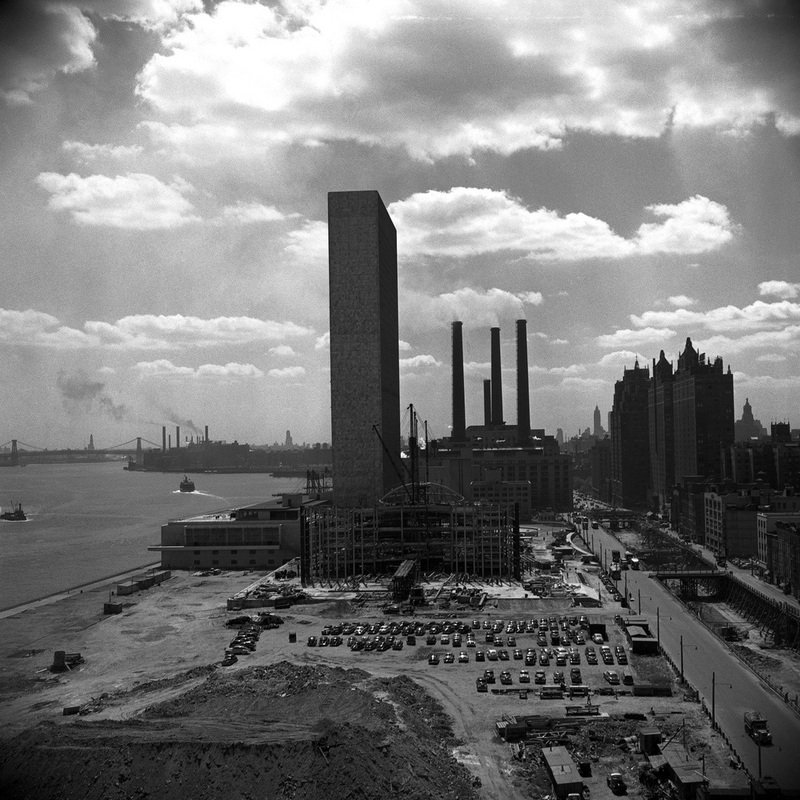 The UN’s location in NYC can be credited to Robert Moses, the city’s master builder. Moses actually negotiated for the United Nations to be located on this East River site and convinced John D. Rockefeller to buy the 17 acres in 1946. According to Untapped Cities, without Moses, the UN headquarters may have been built in Philadelphia instead. Constructed from 1948 to 1952, the land of the headquarters was purchased by the Rockefeller family for $8.5 million who then donated it to the city. 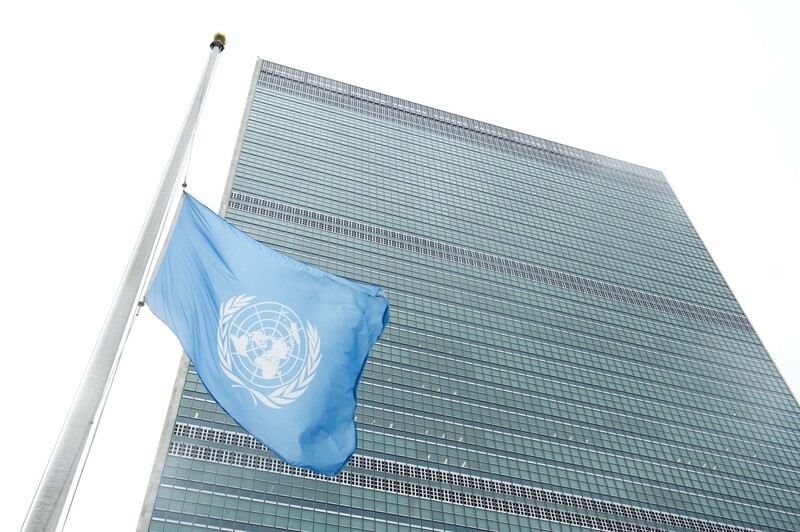 The UN built an international team of architects, city planners, and engineers nominated by member governments. 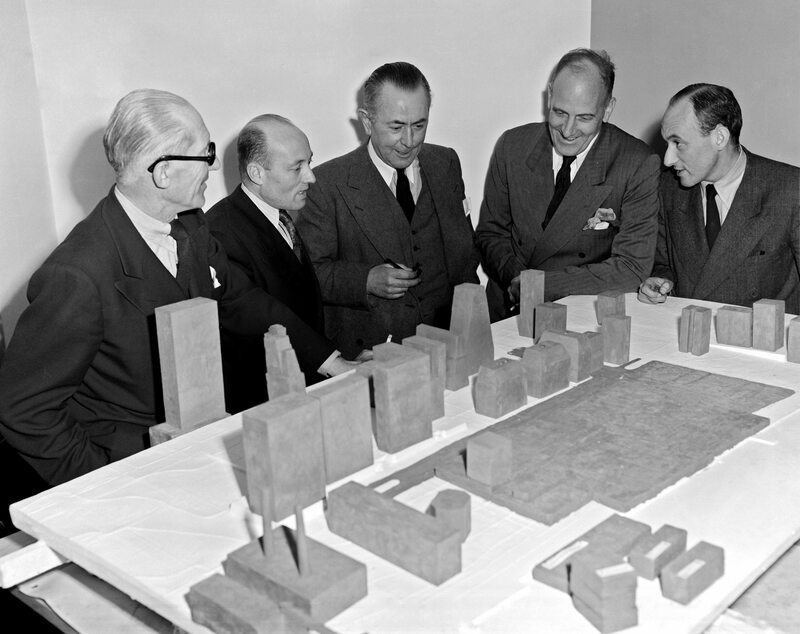 The group included American architect Wallace Harrison as the Director of Planning. Before the Manhattan headquarters was completed, the General Assembly met temporarily in Lake Success on Long Island, Hunter College in the Bronx and also what is now the Queens Museum. And while it technically is located in NYC, the United Nations holds extraterritorial status. Meaning UN rules could potentially override local laws of the city. To expand the country’s knowledge of the achievements of the UN and to commemorate its anniversary as an official entity, UN Day was adopted as a holiday in 1948, later becoming an international holiday in 1971. The first event to ever celebrate UN Day was a World War II Allies’ day of solidarity and military parades launched by President Roosevelt. First celebrated on June 14, 1942, the holiday was originally linked to Flag Day. In NYC, it was observed as the New York at War parade. The holiday was honored throughout World War II from 1942-1944 and bears no connection to today’s observance. 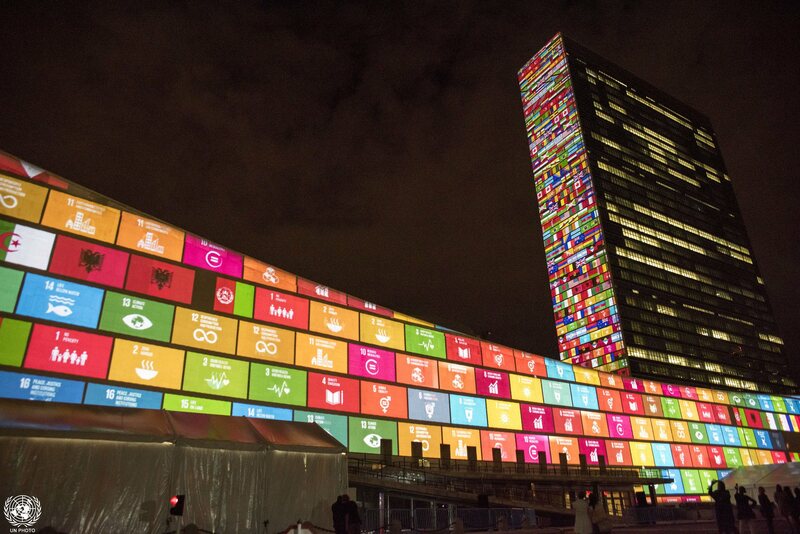 This year, UN Day comes to New York with plenty of events. In the morning at the Visitors’ Entrance Plaza, there will be a reading from the UN Charter and a musical performance by the UNSRC Orchestra. Following that, there will be a flag raising ceremony. In the afternoon, the Deputy-Secretary-General Amina J. Mohammed will present the awards in this year’s categories: Innovation and Creativity, Implementing Efficiencies, Gender Equality and Parity; and Champion of the Sustainable Development Goals. Later in the evening from 7 to 8:30 pm, there will be a UN Day concert, with “potential in diversity” as its theme.